bombastic rhythms, strong martial accents and melancholic atmospheres. Music, lirycs and artwork are related to the dark time of Great War 1914-1918, first worldwide conflict, which was to be the last one... 10 tracks, 40 minutes, CD in digipack designed by Michal Karcz. A FEW COPIES OF BOX VERSION STILL AVAILABLE! LIYR is a French martial act born in 2008. Heavily inspired by neoclassical, bombastic percussions and industrial martial sounds Liyr creates his own characteristic atmosphere. Behind the harshness of the percussions, there is an esoteric thought about Celtic tradition and legends - LIYR is the God of Sea in Celtic myths. But the main idea is that we all live in a changing world dominated by sort of feelings like hate and love, fear and pleasure - in his music and lyrics LIYR talks about all these feelings. 10 tracks, 42 minutes, CD in digipack. 80's analog electronica; today's digital technology; blended together for an up to date sound. This is what the headline banner of www.Analog-Angel.com states - let's see!! The new album - DISCHORD - is released by RAGE in EDEN records on 30th November and is the debut album of this three piece, electronic band from Glasgow, Scotland. For anyone that has not heard of Analog Angel; they are not a boy band by any means. They are of an age where they can remember the 80's in full, vivid, 3-D glory and the songs on DISCHORD tell some of the story from the glorious 80's. 80's electronica? There is certainly more than a hint of 80's electronica on DISCHORD. Some of the basslines are straight out of the yearbooks 80-85!! Some of the sounds are pure analogue beauty; full of filter sweeps that could smash windows!! 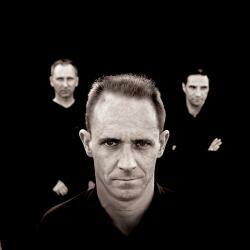 Interview with Derek, John and Robert, members of Scottish electro band ANALOG ANGEL. After a long break from creating music, the band's coming back with brand new album DISCHORD. They agreed to answer some questions regarding the newest circumstances and some stories from the past too. ANALOG ANGEL. With his second album Lukasz Maj, a man behind Sect, has returned with his strongest and most mature work to date. This time we get more bombastic and often militant orchestral and industrial music than on the debut. Sect managed to expand his ideas and turn them into classical orchestration, so with "Imperative" we get mature, powerful orchestral piece of music in the vein of Arditi, Karjalan Sissit, Sophia or Predella Avant. The majestic, threatening, dark and sometimes aggressive and fierce symphonic sounds arranged in a dark concept album with a brilliant balance of bombastic and melancholic fragments should satisfy both martial industrial fanatics and neo-classical orchestra enthusiasts. 12 tracks, 46 minutes, CD in 3 doublesided panel digipack with artwork by Michal Karcz.